We have a restaurant here called “The Veggie Grill”. They serve giant salads made with kale, cabbage and other healthy ingredients… I made this one day when we ate there, the salad in the brightly colored bowl made Charlotte feel like she was eating right off the menu. She finished the whole thing before we even got our food! I used shredded green cabbage, so I guess you could also consider this a type of “slaw”. If cabbage is not your thing, iceberg lettuce would work equally as well. Mix the parmesan cheese, mayonnaise, olive oil, vinegar and seasonings together. Stir until they are well combined and emulsified. 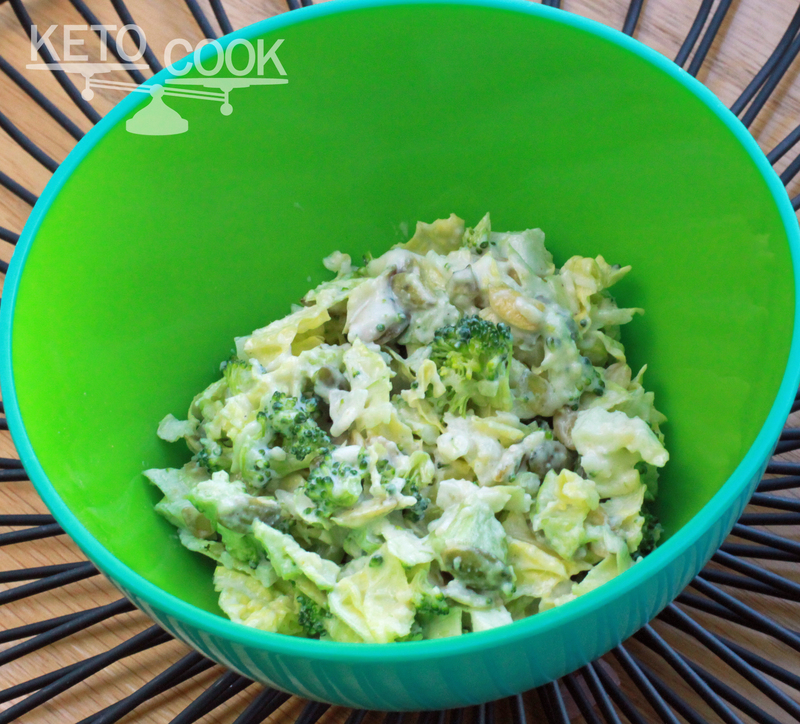 Toss the cabbage, broccoli & pumpkin seeds with the dressing. If you are using cabbage, this will be best served after allowing it to sit for a few hours or overnight. The salt and vinegar will soften the cabbage slightly. If you are using iceberg lettuce, serve immediately. 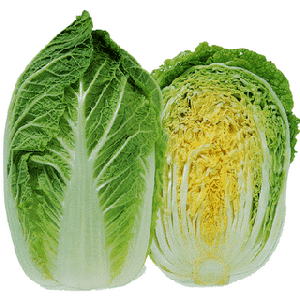 If you would like to try a more mellow cabbage, consider using Nappa Cabbage. It is more lettuce “like” in that the leaves are not as tough and the flavor is not as pungent. Previous Fighting Back with FAT! Sounds yummy and very healthy! !